"It may be doubted whether there are many other creatures which have played so important a part in the history of the world." The best learning experiences often occur when least expected. 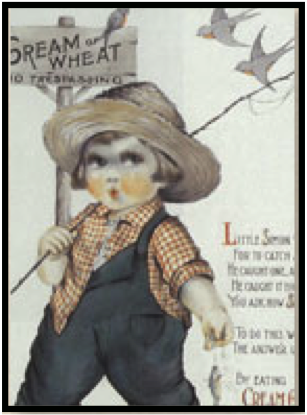 Sure enough, he had a worm in his hand and was examining it closely. Where’s are its eyes? Where is its mouth? What does it eat? Where is its head? I explained that the worm doesn’t have any eyes but it does have sensors near its head that are sensitive to light. I showed him that the pointy-end of the worm is its head. 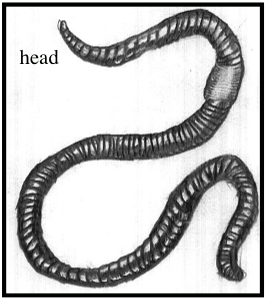 The fact that the worm eats, among other things, bits of decayed plant and animal matter in the soil, and the fact that the worm eats dirt was hard for him to believe. He told me that he has tasted dirt and didn’t believe it was very good. 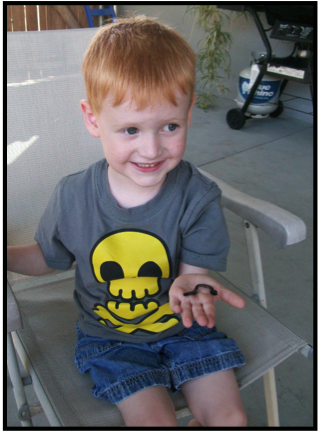 I told him that the earthworm breathes through its skin and if it dries out, it will die. Therefore, to live, the worm must stay moist. It makes a form of mucous that keeps its skin from drying out. I explained that even though the worm lives underground, it makes tunnels in the dirt and the tunnels fill with air. This is how the worm gets a supply of air. 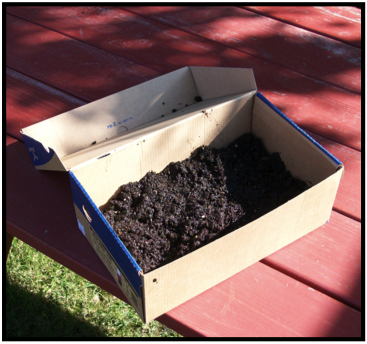 We quickly found a shoebox with a lid and filled it with moist potting soil. Asher put the worm on top of the dirt and it quickly tunneled out of sight. Just to be sure, Asher used a spray bottle filled with water to moisten the surface of the dirt. As an educator, I've believed for a long time, that Kindergarten should be about teaching kids how to care for a living thing. There are so many wonderful creatures that youngsters like Asher and his sister Kate can learn about and care for. The next time they visit, I will have a box of dirt full of the biggest earthworms I can find and another box with mealworms. Mealworms like Cream of Wheat. I once had a box of Madagascar hissing beetles but grandmother math made me get rid of them.